Review: While KOKIA is a solid composer and an unrivalled singer, I find her arrangements rather bland. Her works are reliably good, but not always stunning. It is when she works with arranger Masumi Ito (who also goes by Hikaru Nanase) that we are guaranteed pieces that fully utilise KOKIA’s incredible vocals. Pieces is an album that gives us this perfect match in every track, resulting in a work that is beautiful and stirring throughout, and nothing short of epic at points. In appreciating the album, it helps to split them into the works in which KOKIA composed them for since KOKIA’s method of songwriting is tailored towards the story and themes of the project. While each project is stellar in its own right, I will focus on her works for Phantom: Requiem for the Phantom, Broken Blade and Bungaku Shoujo for the sake of brevity, while giving some brief comments on the others. The album begins with the first piece from the Phantom series, “KARMA.” The song vividly paints a picture of someone suspended on the precipice between life and death. The opening cacophony of vocal lines contributes to this atmosphere by crying out for salvation, which is followed by synths and vocals drifting around the main melody. A gripping aria breaks the haunting serenity at the onset of the chorus (0:56) and a consistent bass beats drives the melody forward with urgency. This culminates in a rousing call-and-response sequence at 1:50, between the rattling chorus and a lone aria, whose clarity cuts through the murkiness. The cycle repeats once, before the lyrics finish with “Let me end it personally. Goodnight.” Afterward, we have a full minute of synths and soft vocals, depicting the continuing limbo, but this time, the background voices sing with a newfound peace. This entire minute of the track illustrates how KOKIA is not interested in conventions and is far more focused on telling the story to its end by committing her music to the task. “Transparent” continues the despair and melancholy “KARMA” sets up, where KOKIA’s emotional delivery depicts someone who has been through so much, who is barely holding it all together, and yet, continues to struggle against the odds. At the end of the chorus, the simple outcry of “I am becoming transparent” underscores the full extent of the defeat, where one is stripped of one’s very identity. “Transparent” works particularly well within the context of the anime, where Ein is brainwashed, sexually exploited, and dehumanised in every way. KOKIA expresses what we expect to be her deepest feelings, where all the pain is real, but silenced by the need to survive. 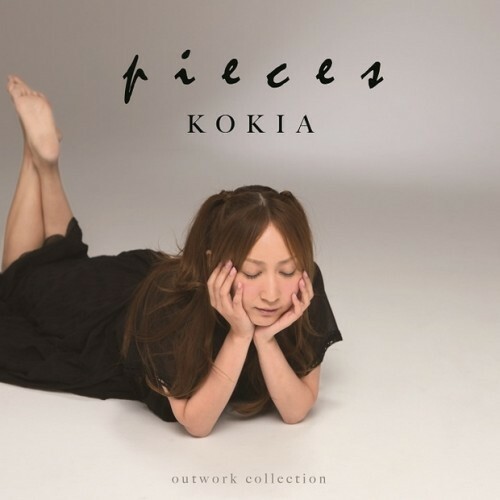 “Fate” is the first of KOKIA’s work for Broken Blade, with instrumentals which begin in the style of a military march. Juxtaposed against this is the gentle nature of KOKIA’s opening stanza and the remorseful electric guitar scattered within it, starkly contrasting the elements of war and love. Nonetheless, the song merges the two elements; KOKIA’s delivery soars above the march of the instrumentals, highlighting how hope can transcend conflict. This sentiment is echoed in the lyrics, which tells of someone seeking to love unconditionally and to embody hope against the test of destiny. The song reaches its climax at 2:39-3:11, with the aria vindicating the conviction expressed by the main melody, bringing the piece from its forlorn beginning to its victorious end. “Nageki no Oto,” unlike “Fate,” is much more open about its sorrow, expressing it in the opening vocal lines filled with loss and pain. In the first two stanzas, the melancholy instrumentals are accompanied by KOKIA’s many vocal runs which bring out helplessness and trepidation. Like “Fate,” however, KOKIA transforms this into a sense of resolve in the chorus where, nearing end of the piece, the instrumentals heighten the resolve, depicting a newfound purpose and hope. With a title that translates into ‘The Sound of Despair’, one admires how it is strength that is built upon pain, and strength that eventually prevails. The two pieces for Bungaku Shoujo display a very different side of the album. The purity and simplicity contrast with the preceding pieces. Both illustrate the feeling of falling in love, and feeling like someone transformed one’s life. The protagonist’s innocence in these songs is brought to the fore, both with KOKIA’s whispery and simple delivery, and lyrics that describe how the entire world becomes filled with hope and joy. KOKIA’s other works are also excellent without being overshadowed by her anime works. The very aptly named “Road to Glory” is an illustrative telling of folklore. The wide mix of instrumentals beautifully describe the journey, with the soft bells that signal the start (0:38) and KOKIA’s soft vocal lines from 0:45-1:00 describing the first steps. The beautiful interweaving of instrumentals and vocals that follow is similarly filled with imagery, allowing one to feel like one is walking along the path tread by heroes, and even sharing in their glory with the fanfare from 2.47-3:21. Next, “EXEC_REBIRTHIA=PROTOCOL/.” is a beautiful piece whose opening aria is a trip down memory lane for KOKIA’s long-time fans, bringing us back to albums like ‘KOKIA∞AKIKO ~balance~’ and ‘The Voice’. I probably do not need to say anything about “EXEC_COSMOFLIPS/.” because I have yet to find one person who does not fall in love with it. Rhythmic and simple, but embellished by beautiful vocal arias as the piece progresses, “EXEC_COSMOFLIPS/.” is an absolute delight. What I respect about KOKIA is her rejection of the industrial uniformity that has become ubiquitous. KOKIA consistently places the message and purpose at the centre of her works, allowing her music to tell their own tales. With her dedication as an artist, her unrivalled vocal talents, and the lucky coincidence of a whole album being arranged by the arranger best at making the most of KOKIA’s voice, pieces stands as one of the best albums KOKIA has produced. This is one my favorite albums from KOKIA, even though it counts as outworks collection, it feels like a normal album which has some epic songs right from the beginninng. I think Fate is still my favorite song from the album, because it just so epic with the marching sound and KOKIA with her vocals. Just amazing and deserves so many listens.